Primarily a fishing village, Pedasi has become increasingly seen as a seaside playground for tourists from across the country and further afield. The wealth of beaches along this strip of coast each have their own character, with some enjoying decent surf and others calm and sheltered from the elements. A trip to the local marine reserves around the nearby islands is a must on any Pedasi itinerary, with coral reefs to explore on dives, and a large number of bird species to spot, including the magnificent frigatebird. Pedasi is in Los Santos Province. 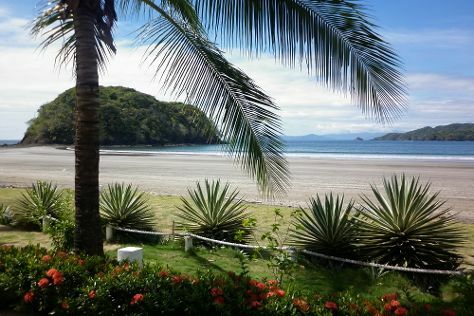 Use our Panama trip planning app to arrange the details of your trip to Pedasi and other destinations. Colonial-era buildings with immaculate grounds now house hotels with pleasant pools surrounded by palms. Modern options include surfer hostels with equipment rental and regular lessons, as well as rental villas with outdoor barbecues and shared pools. None are far from the beach and the restaurants and bars in the town center.